Anesthesia Booms for Hybrid Operating Rooms & Cardiac Catheterization Labs. 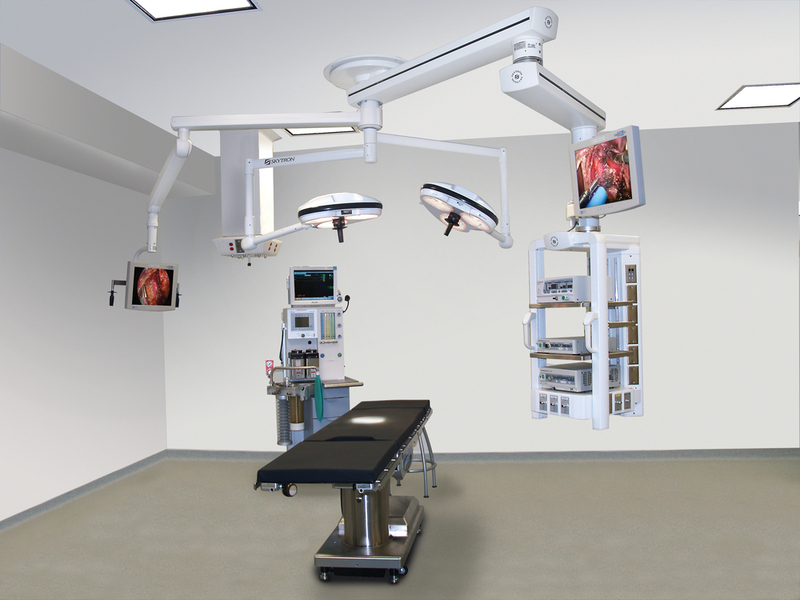 Design & Mounting Location for Anesthesia Booms in Hybrid ORs. Anesthesia Booms manage medical gases, electrical & data inputs, anesthesia gases, vital signs display, and equipment mounting accessories. SKYTRON, Stryker, Maquet, Trumpf, Steris. 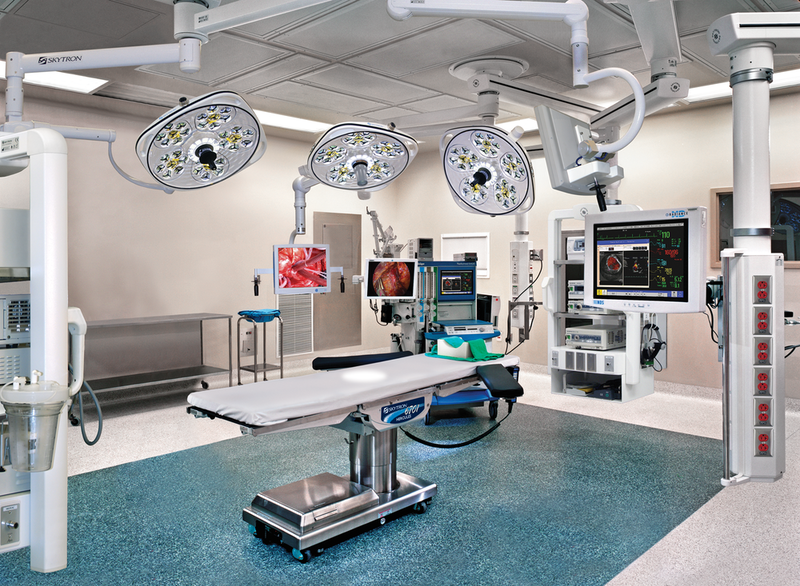 Anesthesia Booms, otherwise known as ceiling supply units and pendants, save space, create a more orderly working environment, and increase efficiency. 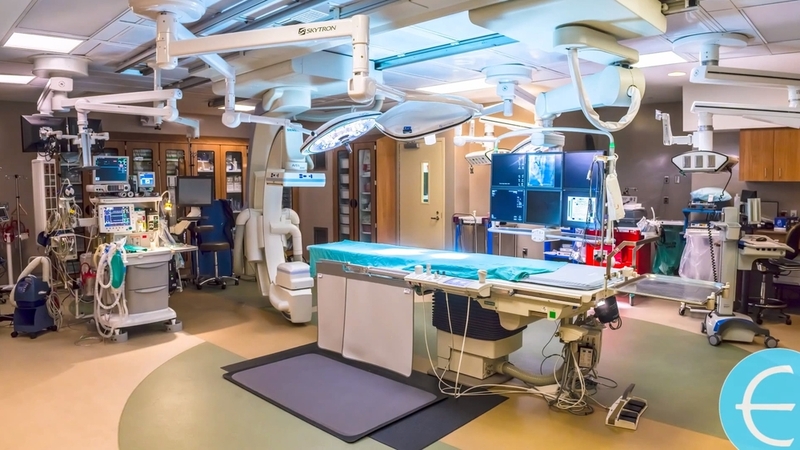 By keeping cables, devices, and medical gas lines off the floor, Anesthesia booms ensure better access to the patient, a more flexible room configuration, and provide a safer working environment for hospital staff. Ideally, your anesthesia booms should accommodate every surgeon's preferences and every surgical specialty. They should increase a room's flexibility by letting you position a patient however the surgeon wants. You should be able to reorient the room in seconds. And they should shorten turnover times because the items you use all the time will always be in the room. The efficiency of moving the anesthesia boom out of the way when you're not using it, but the availability of immediately having it ready is a definite plus with room turnover time. Never having to plug in or unplug the equipment and moving slave monitor cables from one side of the room to another is another time saver. Head end or foot end of the patient? Or will you need both capabilities? Anesthesia access from patient right, patient left, or both? What are the potential collisions with the Angiography Imaging equipment? 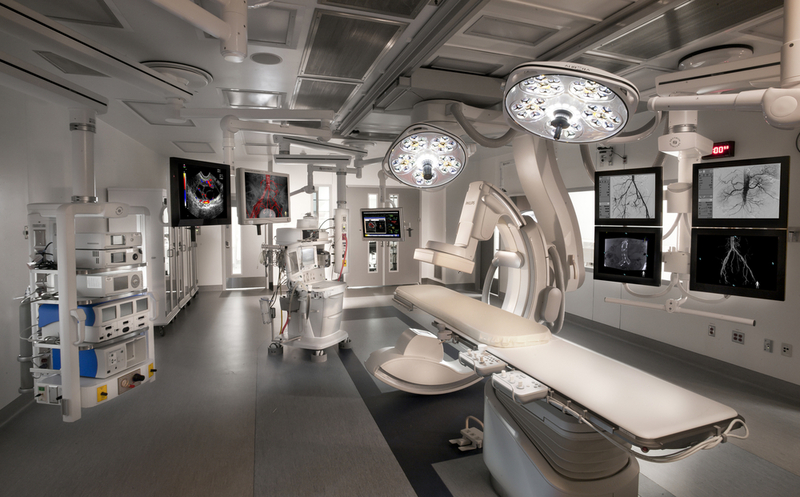 Will a Cardiopulmonary Bypass machine be used in the room and need Anesthesia gas outlets too? Stainless Column? Retractable or Stationary? Single or Dual-Arm Articulating Boom? Height Adjustable? Boom Positioning Breaks: Friction or Nitrogen controlled? *Nitrogen controlled will require additional nitrogen gas to be run to the boom. Boom Column Length: 12" - 48". Often dependent on the connections and accessories needed. A smaller footprint in the Anesthesia area is often desired. How many electrical outlets will be needed on the Anesthesia Boom? Emergency or regular? How many data connections will needed on the Anesthesia Boom? Which types of data? Examples include: Internet, Telephone, Nurse Call (CAT-6E, RJ-45, RJ11). How many video connections will be needed on the Anesthesia Boom? 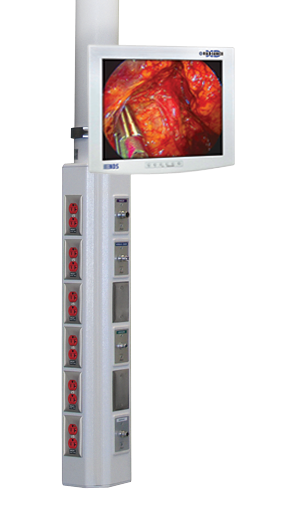 Which video signal inputs and outputs will be sourced through the Anesthesia Boom? What is the maximum number of each medical gases and air needed at any time? How many shelves/drawers for mounting accessory equipment will be needed? Adding shelves creates a large footprint.